You take pride in your bike, whether it is a Harley-Davidson, Honda, Suzuki, BMW, Triumph, Kawasaki, or Yamaha. Accurately reading road conditions is like second nature, and safety is a priority since you share a road dominated by cars and trucks. But no matter how much caution you exercise, you remain vulnerable. As a North Carolina motorcycle accident attorney, I represent motorcyclists throughout North Carolina who have been injured in accidents. Not all accident attorneys are willing to represent motorcyclists, but I am. I am also very active in the motorcycle community throughout North Carolina as you can see in the Motorcycle Community section of the website. Because you share the road with many more cars and trucks than motorcycles, you may feel like you are in the minority and are concerned that because you are a motorcyclist the insurance company will not treat you fairly. I work to ensure that all your rights under the law are protected and that you are treated fairly in your case, whether that be payment for your medical bills, reimbursement for your lost wages, or receiving fair compensation for your injuries and pain and suffering. To provide the highest service to my clients, I am selective when it comes to accepting cases. In contrast to some law firms that take on a high volume of injury cases, I limit the number of cases I handle so I can provide each client with the personal service they need and deserve. I develop a one on one relationship with the client. Your case is not handled by a non- lawyer case manager. I am directly responsible for your case – I meet with you in person, I answer your questions and I deal with the insurance company on your behalf. For those motorcyclists I represent, I utilize my full experience and energy to protecting their rights and obtain the financial compensation they need and deserve. As a North Carolina motorcycle accident attorney, I help residents of North Carolina and their families work through the many complicated issues related to being involved in a motorcycle accident. By providing personalized service based on my clients’ needs, I take care of all the details related to their case so my clients can focus their energies on getting better. 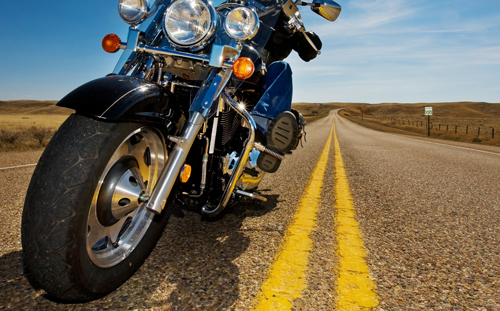 Please give me a call at 800-942-1191 or contact us to discuss your motorcycle accident injury. The phone consultation is free and without obligation. I am also happy to meet with you at a time and place convenient to you.